Both are flat-sided fish and both inhabit mid-Atlantic waters. Yet fluke and flounder do not share every characteristic. A careful observer can find more than a few differences between these "flatfish". Fluke and flounders are flat bottom-dwelling fish. They lie on one side and evolved their development such that one of their eyes migrates to the side that is up. 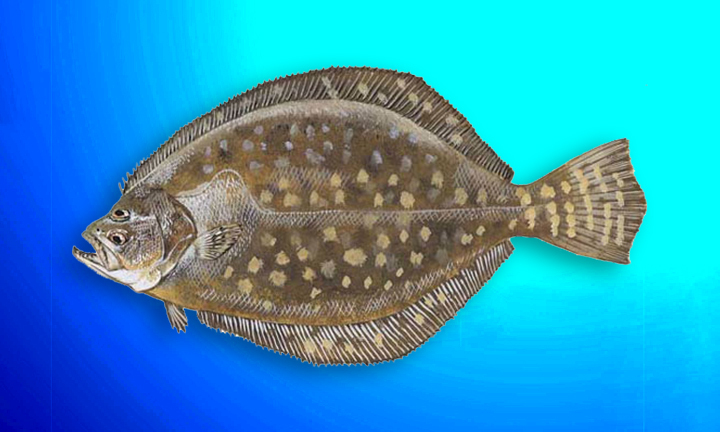 Fluke is known as summer flounder because it is more abundant in warm weather. Flounder is sometimes called "winter flounder" to distinguish it from fluke. The position of the eyes is one of the major physical differences between fluke and flounder. Fluke is called the "left eye fish" and flounder is known as the "right eye fish." and the left side is the side facing up, so the eyes are on the left side. In other words,the fish is really laying on its side not on its bottom.To figure out which side is the left or right, you have to imagine turning the flounder on edge so it is oriented like a normal fish with the eyes above the mouth.